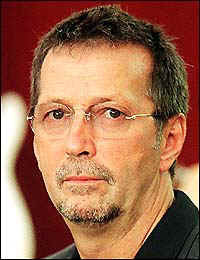 GUITAR legend Eric Clapton was last night celebrating the birth of his new baby daughter. Girlfriend Melia McEnery, 25, gave birth to the 7lbs 1oz girl in the early hours of Thursday - with Eric, 56, by her side. The tot has been called Julie Rose after Eric's late grandmother Rose. 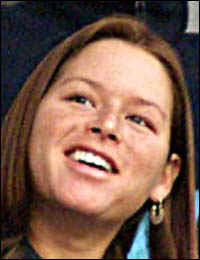 Her birth comes ten years after Eric's four-year-old son Conor died in a fall from his flat on the 53rd floor of a New York skyscraper. Last night a spokeswoman said: "Eric is absolutely thrilled. He held Melia's hand as Julie Rose came into the world." Raven-haired Melia, who is of Irish-Korean descent, fell for ex-drink and drug addict Eric two years ago. The star, who has another daughter Ruth, 16, is devoted to Melia and last month celebrated the forthcoming birth with a party at her parents' home in Columbus, Ohio. After little Conor's tragic death in 1991 he said he had no reason to live. His grief led to him writing classic Tears In Heaven. Now he is said to be "incredibly happy again."